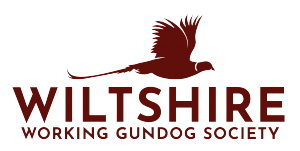 “We had a lovely evening at gundog training last Wednesday luckily the weather stayed nice and it was great to see many of the same faces returning. Nick Coates and the Open class had a testing evening, finishing with a 500 yard retrieve over dips and up hill; a very impressive spectacle. Ken Green and the Novice were training with dummies, pistols and tennis balls over treacherous and difficult ground. Lucy Arnold and the Puppies found themselves in long grass doing seen and unseen retrieves. A huge thanks to Mr and Mrs David Green and Shaun for letting us use their wonderful ground and for topping some of the thistles! I have put some photos of the evening on the WWGS Facebook page and really hope that you enjoy them. Now on to Gundog Working Tests. Please see our Working Test page for details of our forthcoming retriever Test. Many of you will know not having a Test Secretary we have had to as a Society really club together to make this happen. Please help us to SHARE details and if you know anyone who would be willing to help on the committee organising tests or helping in whatever way please get in touch for us to carry on flourishing and to be able to organise future events we would LOVE to hear from you! • Raffle prizes: Likewise raffle prizes are always appreciated.